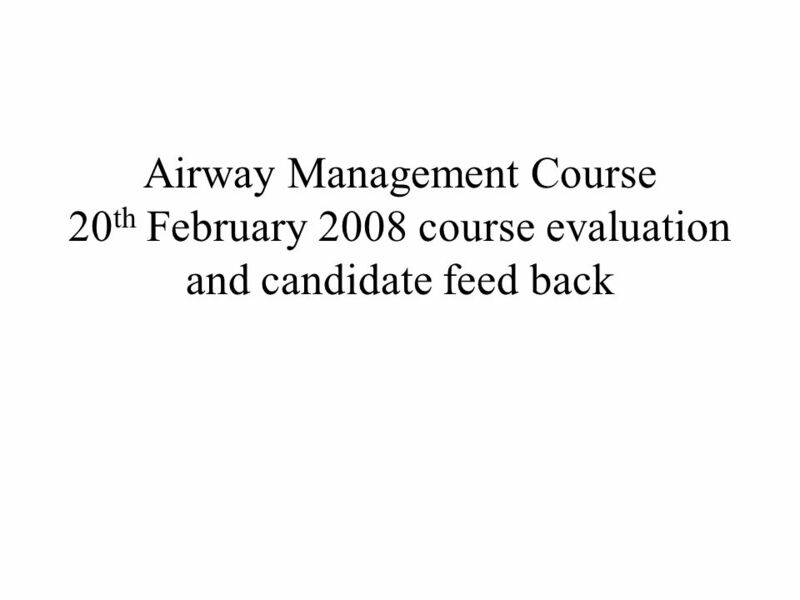 Airway Management Course 20 th February 2008 course evaluation and candidate feed back. 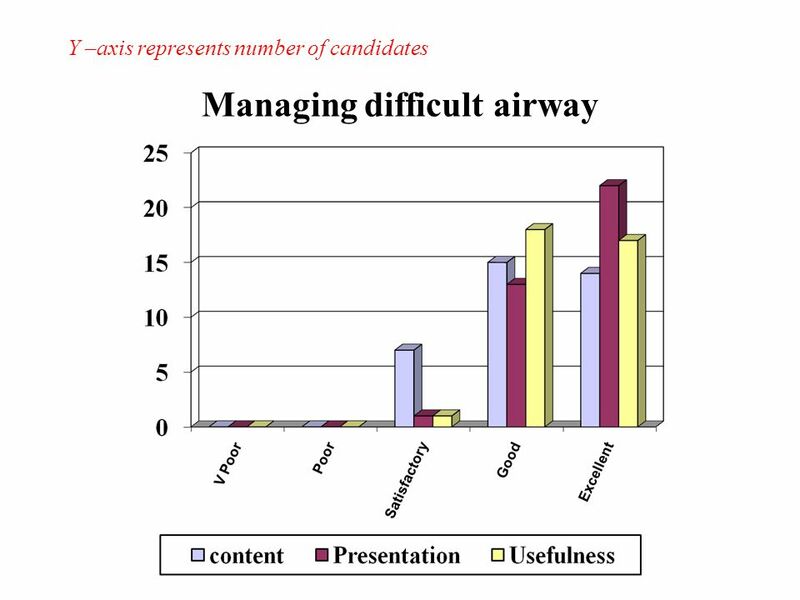 Download ppt "Airway Management Course 20 th February 2008 course evaluation and candidate feed back." 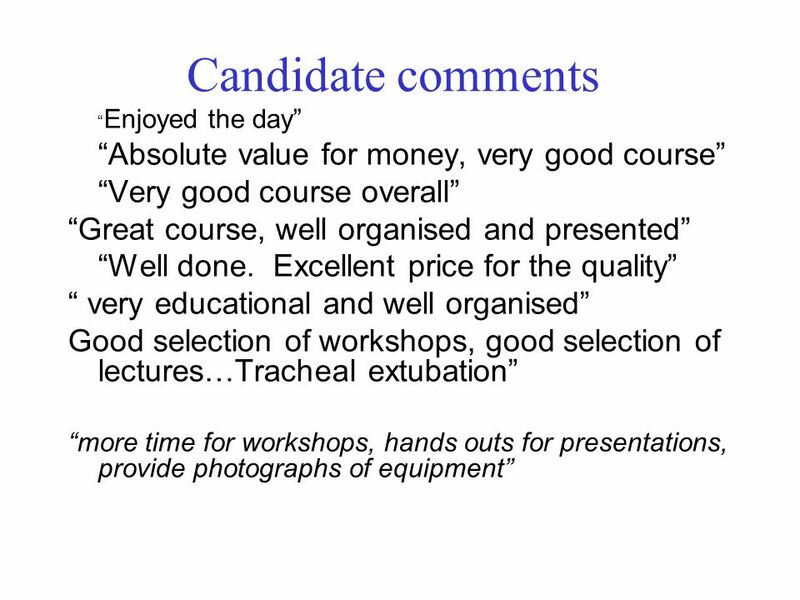 13 th Airway Management Course 14 th March 2011 course evaluation and candidate feed back. Geography in Higher Education in. 03 February 2014HERODOT Network National situation Use 1-2 slides to comment on nationally: University system. 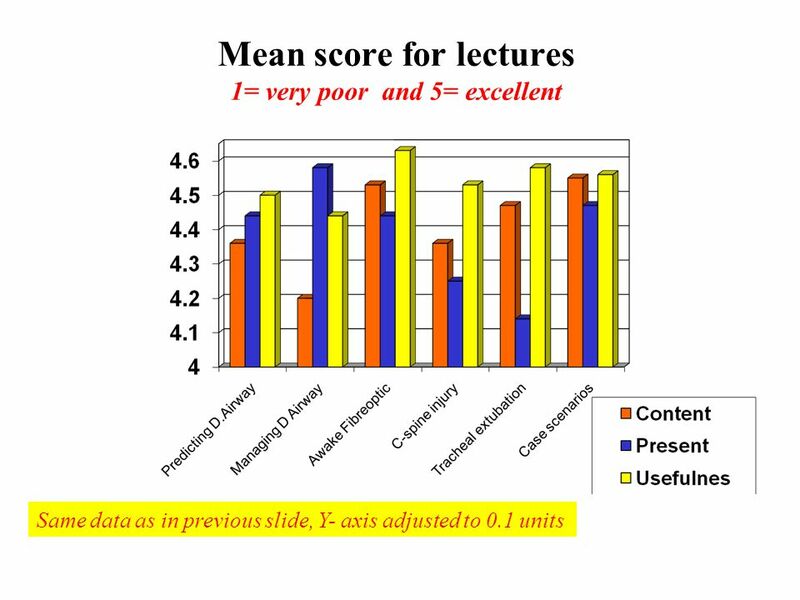 Primary MCQ Course Evaluation September 2010 Mean score, maximum being 5. Final FRCA SOE Course Evaluation Nov 25 th -26 th 2013. 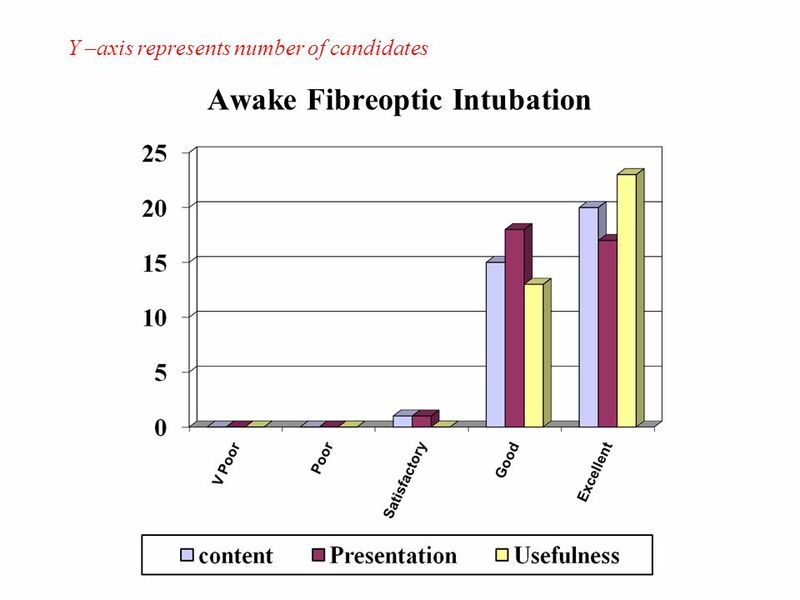 Anesthetic management of maxillofacial surgery By: Alaa Samir El Kateb Lecturer of anesthesia and intensive care Ain Shams university. Slide No. 1 Chapter 1, Unit c Relative vs. Absolute Addressing in a Spreadsheet H Spreadsheet Address H Relative Address H Absolute Address H Examples. 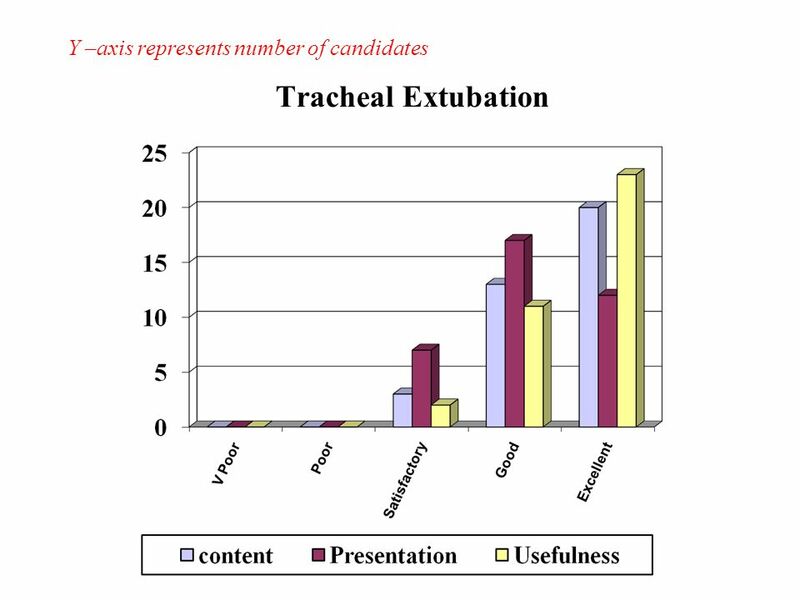 Pediatric Airway Management SNOHOMISH COUNTY EMS. 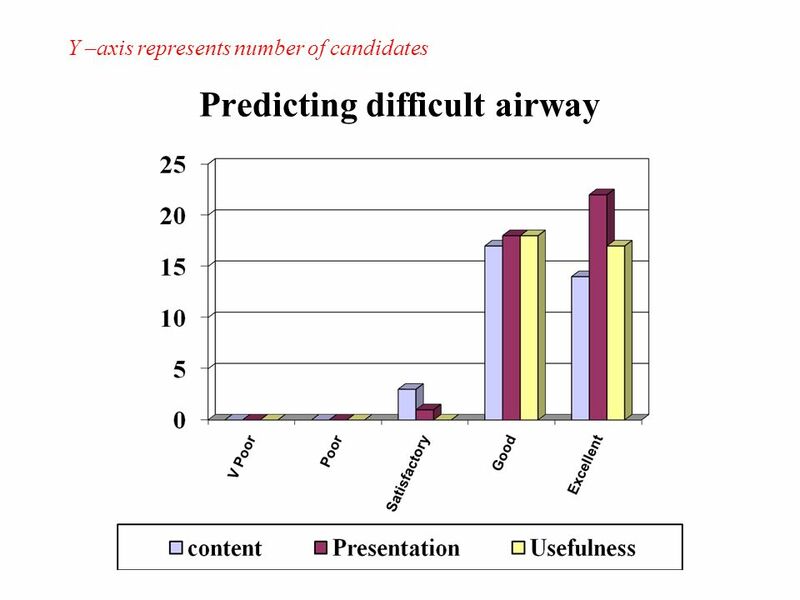 Difficult Airway Management for Trauma: New Laryngoscope EVO2 Takami Komatsu and Yutaka Iwama Critical Care Center Teikyo University Hospital Tokyo, Japan. College Algebra Course Redesign Southeast Missouri State University. 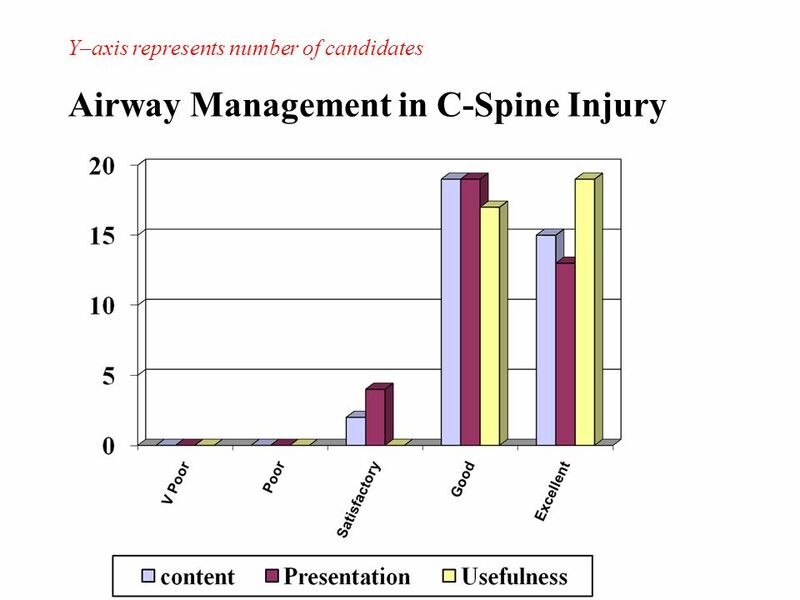 “Dirty Laundry” of Airway Management Ashley Grace Piper SRNA. 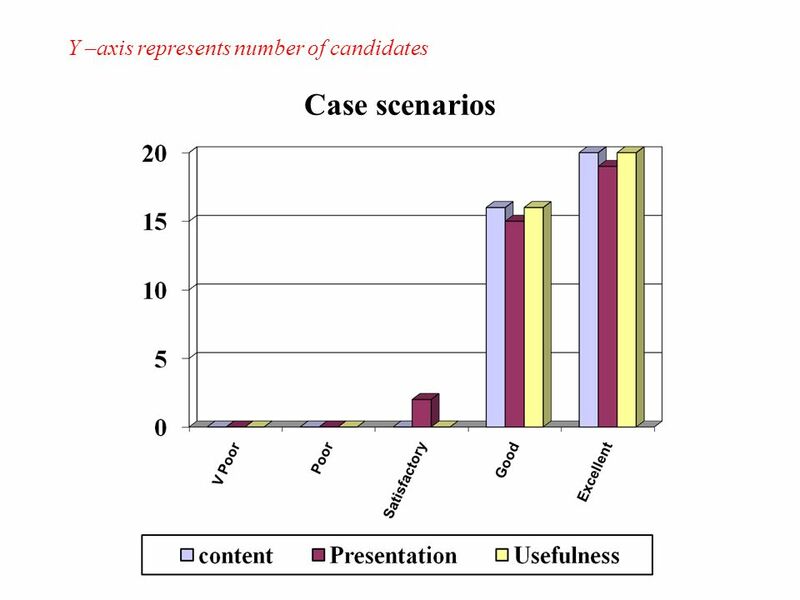 Assessment and Learning in Practice Settings (ALPS) © Student’s perception of competence to practice Dr J D Cortis Assessment. 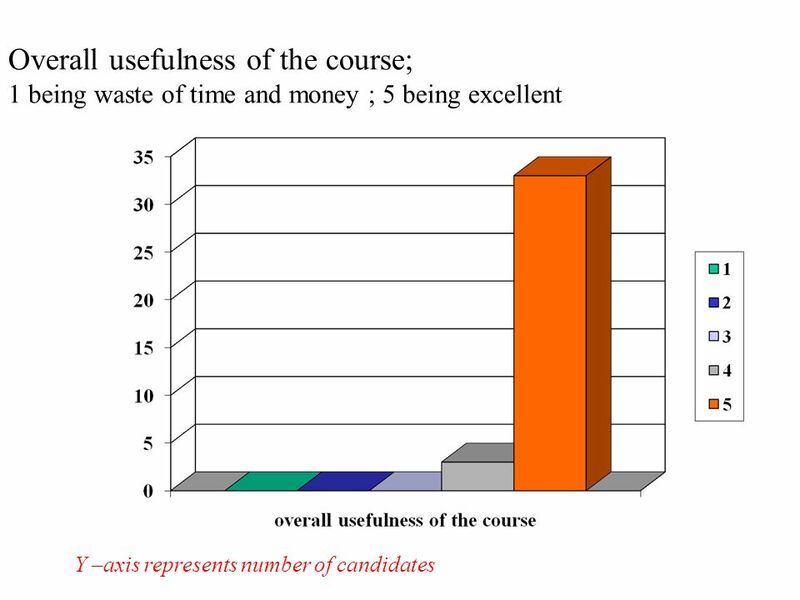 Primary MCQ Course Evaluation May Mean score represented as bar charts. 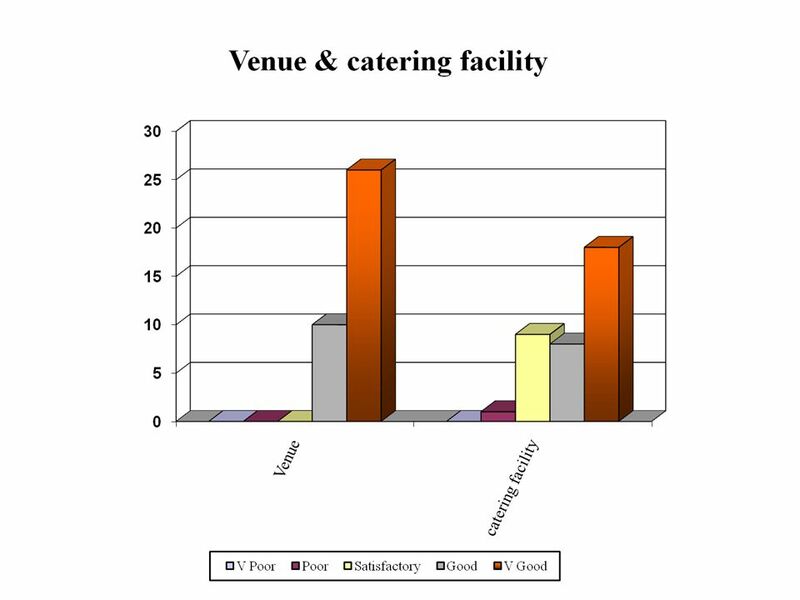 1= poor 5= excellent Mean score for each subject is presented as bar graphs. 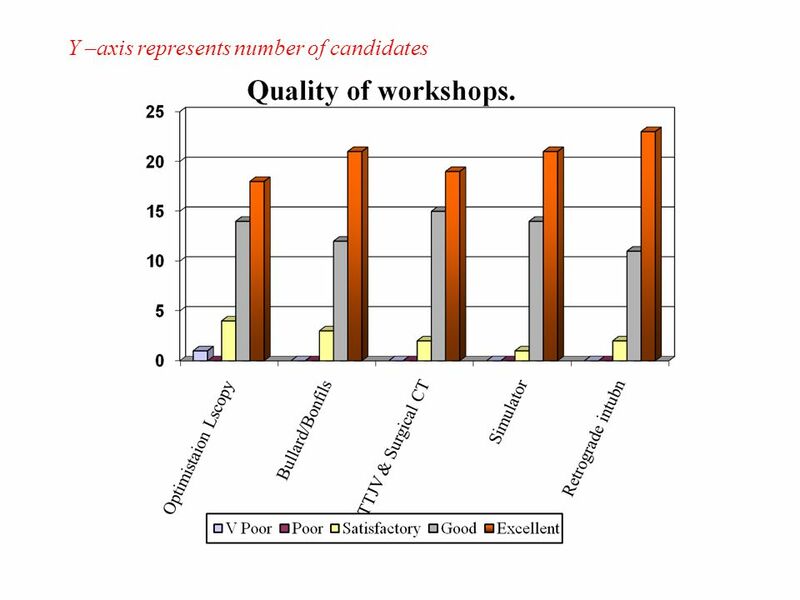 Y axis represents number of candidates OSCE/VIVA course: 9-10 January 2012 course evaluation and candidate feed back Total candidates: 38 1: very poor. 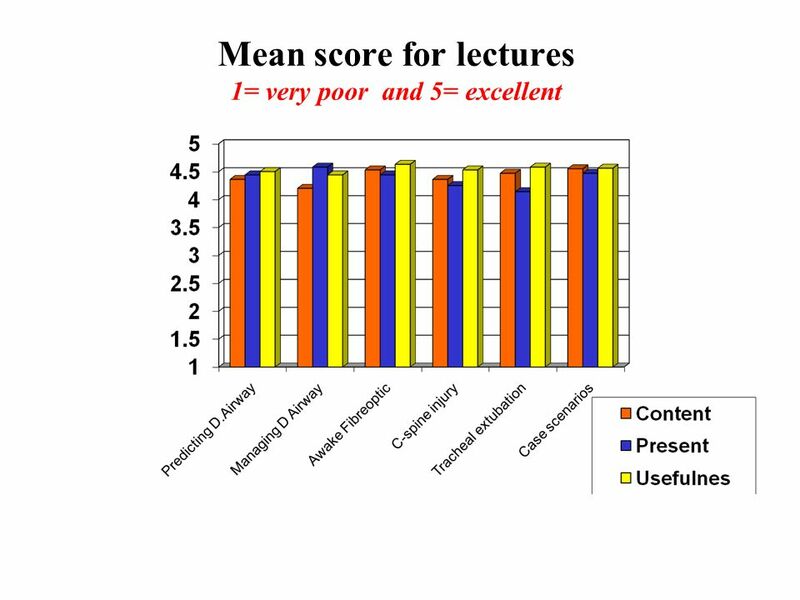 Evaluation of courses by student feedback forms Kay Schuetzler. Programming 1 Feedback Session. The unit has improved my understanding of programming. 1.Strongly Agree 2.Agree 3.Neutral 4.Disagree 5.Strongly Disagree. Foundations of Computer Graphics (Spring 2010) CS 184, Lecture 25: Inverse Kinematics Many slides courtesy James O’Brien. 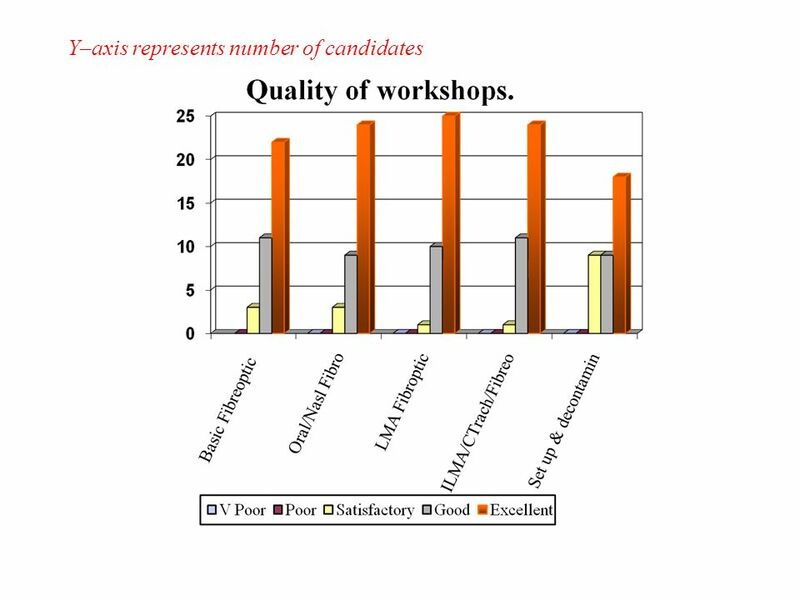 Training and development Education Evaluation: Benefits to Trust and its Learners Clinical skills training Education Quality Team May 2014 Training and. 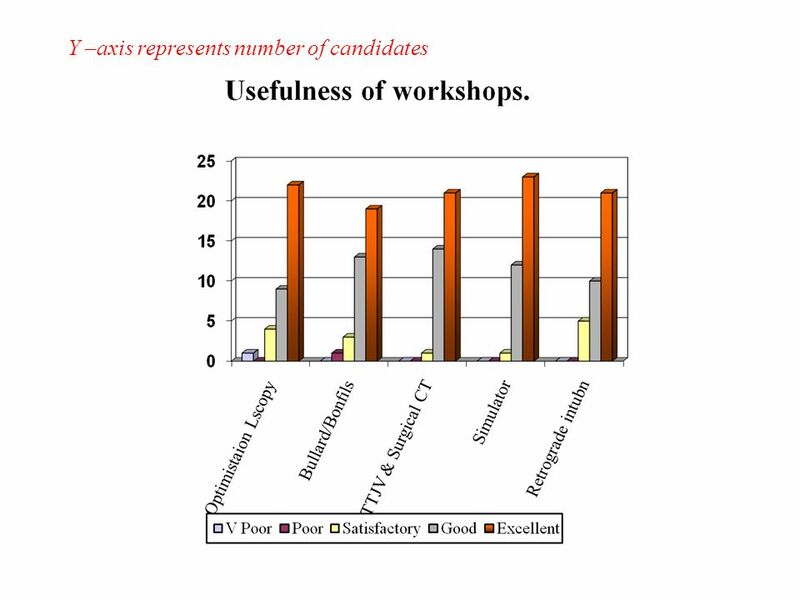 8th and 9th June 2004 Mainz, Germany Workshop on Wideband Speech Quality in Terminals and Networks: Assessment and Prediction 1 Vincent Barriac, Jean-Yves.